The soldiers of five wars encamped under the branches of this historic tree. The most famous were members of a Revolutionary War pioneer muster that helped change the course of the patriotic cause. In September 1780, Colonel John Pemberton assembled his command under the oak to march his volunteer army to Sycamore Shoals, now Elizabethton. He was joined there with units from Virginia under the command of Colonel William Campbell and Colonel Arthur Campbell. The combined army arrived at the Watauga Settlement on September 25. After joining units from the area, the entire force departed to march over the mountain to South Carolina toward fame and history. On October 7, 1780, the patriot army of eleven hundred men surrounded British Colonel Patrick Ferguson and his men on King Mountain. The resultant patriot victory changed the course of the war, forcing British General Cornwallis to abandon his plans in the South. 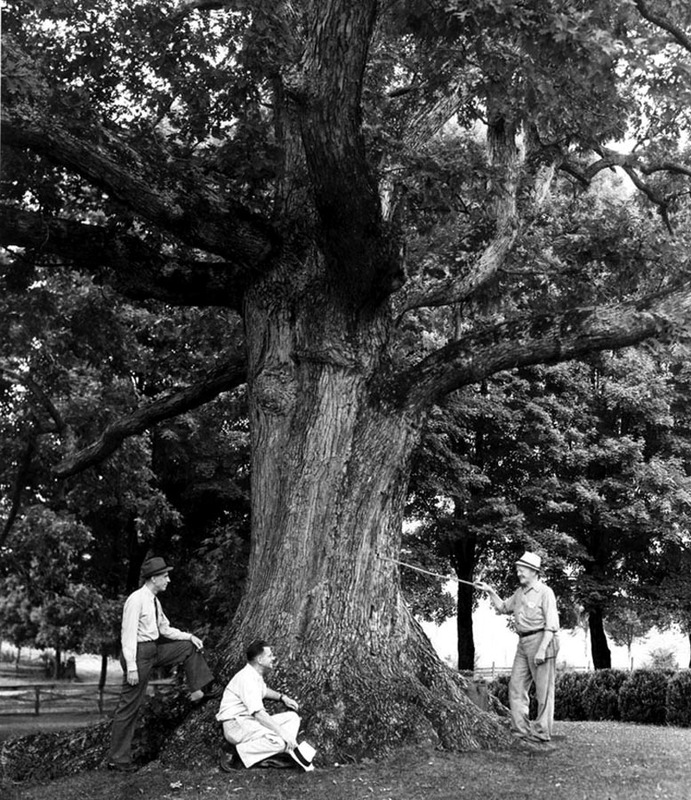 This white oak was owned by descendants of Colonel Pemberton until it fell in a storm in late summer 2004.